Summer will be here before you know it, along with all kinds of fun warm-weather activities… and thanks to this recipe, standing over a hot stove isn’t one of them! 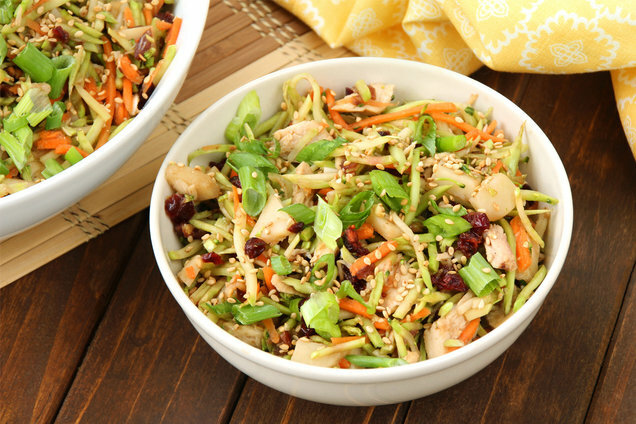 Mix up this too-easy side dish with a protein twist! 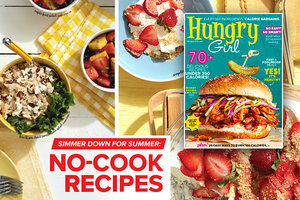 Hungry for More Healthy No-Cook Recipes for Summer? Tomorrow, June 6th, is reportedly the anniversary of frozen food being sold in supermarkets. To hear Lisa’s personal tips, tricks & picks for frozen pizza, check out “The Pizza Episode” of the Hungry Girl podcast. Share this recipe so everyone can have more fun this summer! Click "Send to a Friend" now.